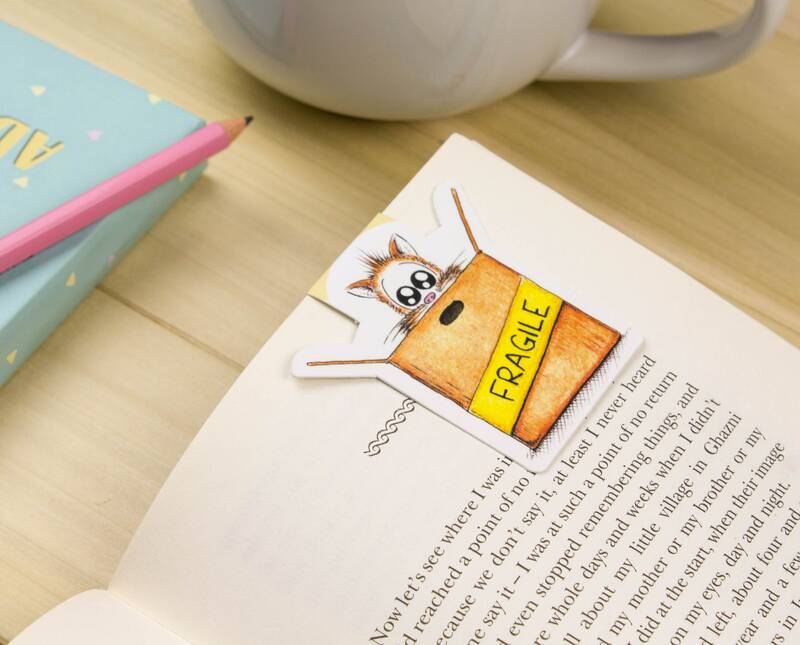 This magnetic bookmark of Valo the cat is so cute that every time you open that page-turner novel you're reading, it will make you smile. We promise. 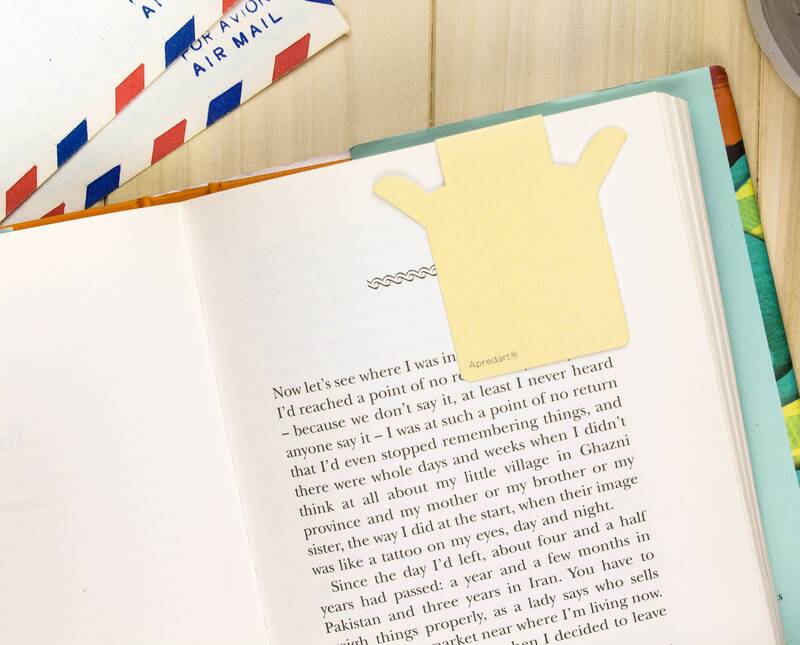 The bookmark is designed as a clip that holds the top of the page, so you know exactly what page you're on. 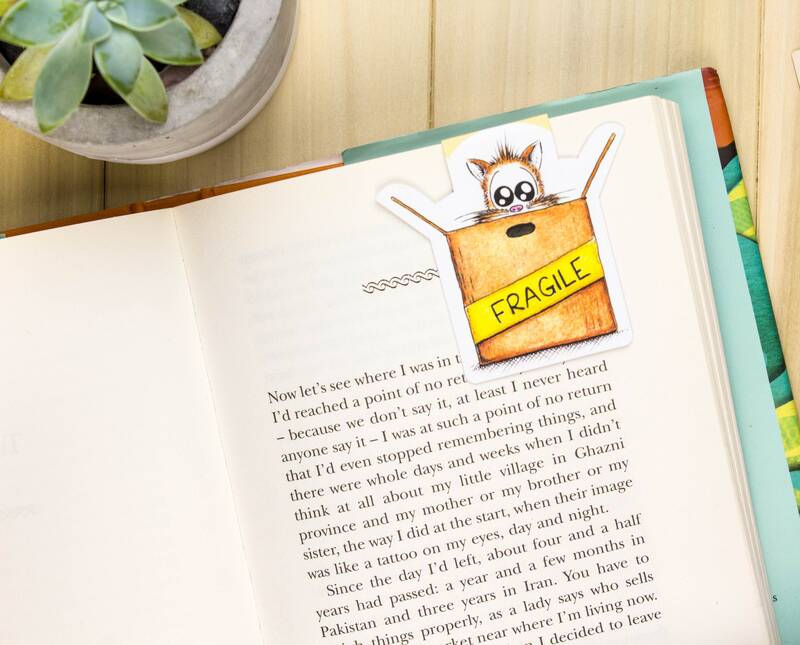 Don't worry, we use a very thin magnet to protect the paper. 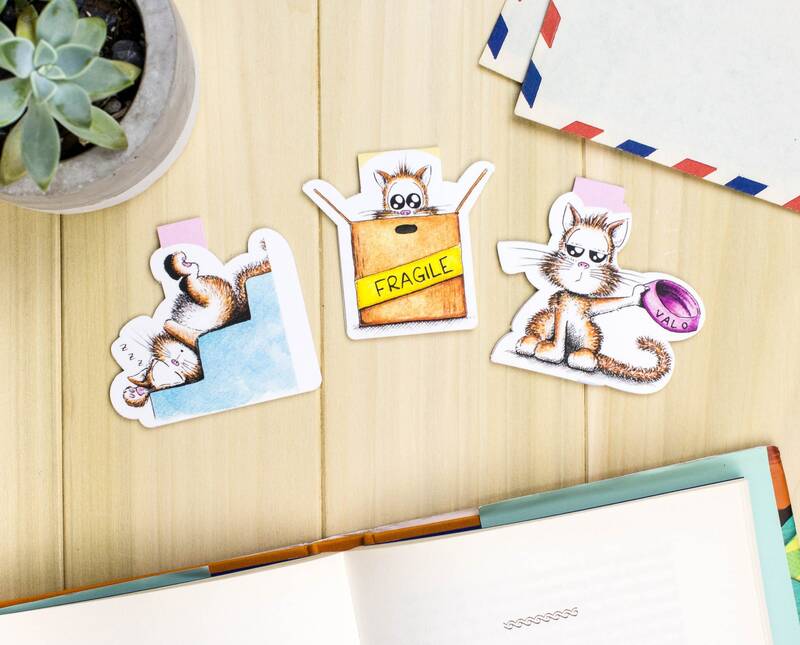 Valo the cat is one of our original characters, illustrated with love by Loïc Apreda, and printed on high quality laminated paper.